While on board individual commentary in 11 languages will ensure you don’t miss a thing. Maybe you have already seen all there is to see in Lower Manhattan? Looking for something a bit different? 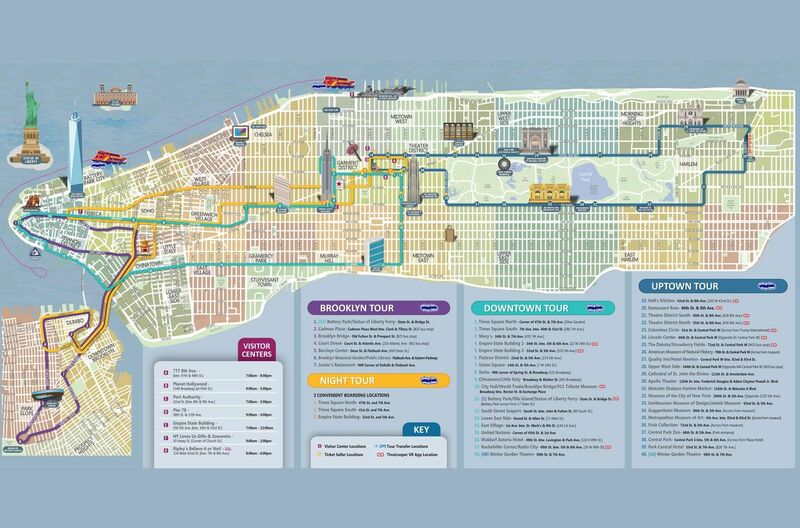 This NYC Hop-On, Hop-Off tour focuses on just Uptown New York, taking you all the way from Central Park to offbeat Harlem. Your ticket is valid for 24 hours and the route has over 20 stops. You’ll have plenty of time for relaxing strolls in Central Park or exploring vibrant Harlem. The route also covers Museum Mile, Colombus Circle, the Lincoln Centre and much much more. Hop on and off the open-top buses as often as you wish. While on board you can listen to an engaging audio commentary available in 11 languages English, French, Spanish, German, Italian, Portuguese, Mandarin, Russian, Japanese, Korean and Hebrew. Vouchers must be exchanged at the Gray Line CitySightseeing New York Visitor Center At 777 8th Avenue, between 47th and 48th Streets. Once you have exchanged your voucher at the Gray Line CitySightseeing New York Visitor Centre, you can board the double-decker bus from any of the stops. Delays and route amendments may occur due to traffic problems and events in New York City The program and schedules can be subject to change. Vouchers must be exchanged for actual tickets before starting the tour. Tickets are valid from the time you redeem your voucher at the visitor center. The route of the hop-on, hop-off tour is subject to change. Photo Id for the named Lead Passenger may be required at the time of collecting the ticket in exchange of the voucher. The buses have ramps and are therefore fully wheelchair accessible. Beat the rush! The visitors centers are very busy in the early morning. However your pass is valid for hours rather than days, so why not head to the visitor center and start your tour in the afternoon? You’ll also benefit from being able to board from the closest stop to your hotel the next morning.